Hurricane Irma resulted in millions of Floridians fleeing the state. 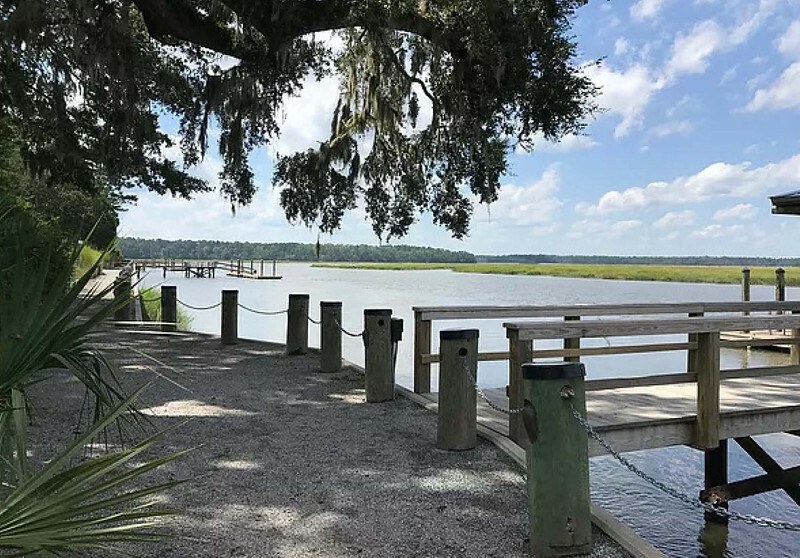 Here's a look into a trip to South Carolina's low country by Melissa Hege, AICP of South Florida-based Melissa Hege City Planning LLC. Hurricane Irma was sheer panic and anxiety for our family and so many of our friends. The stress of having to succumb to the massive power of Mother Nature was eased when we reached the Georgia state line, the mountains of North Carolina and the lowlands of South Carolina. 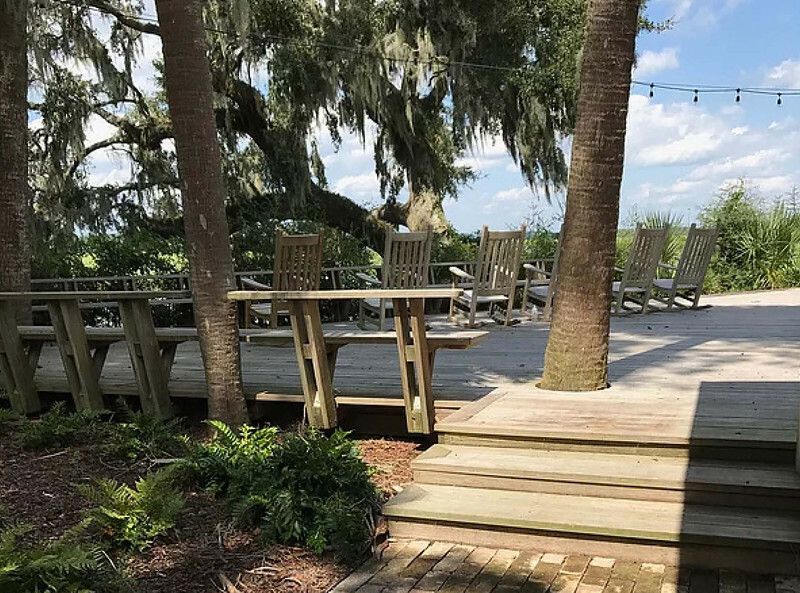 But it was not until I entered the planned community of Spring Island, South Carolina, that I understood the meaning of the word “retreat” and why they are so important for us city dwellers. This is where we started. (Ok I took this photo earlier in the summer, but it makes a good point.) 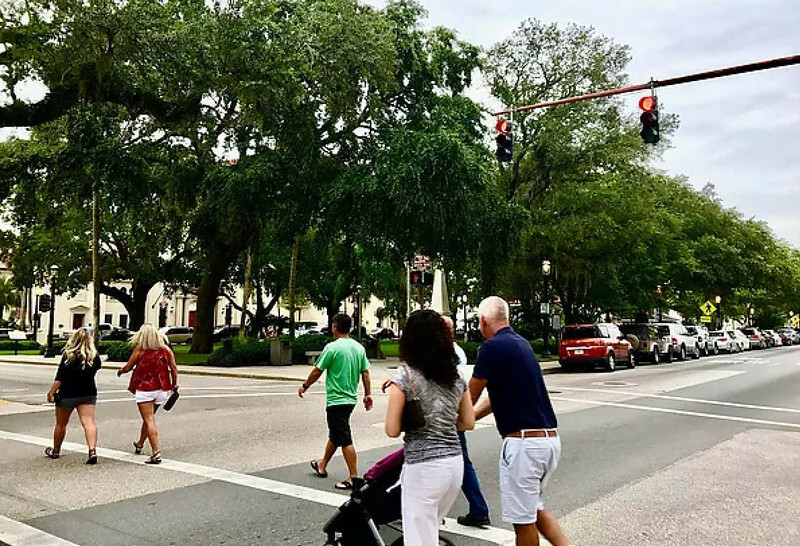 Saint Augustine has incredible history and charm. 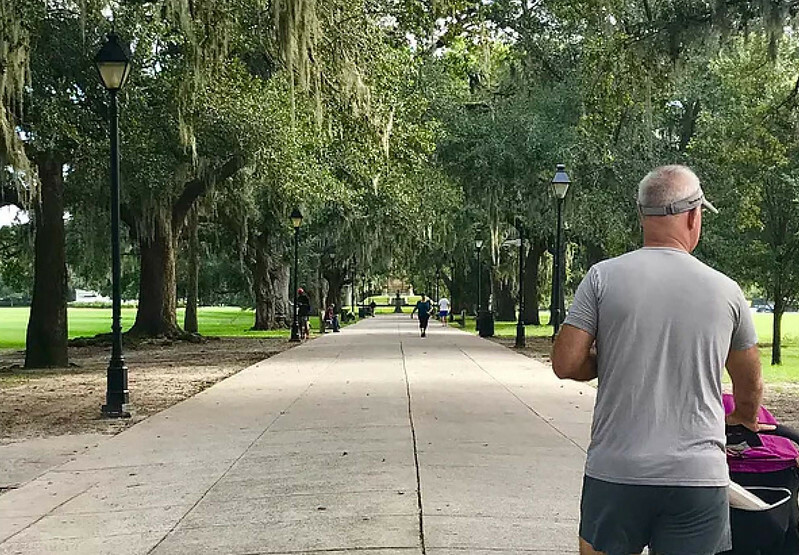 It can be a bit of tourist trap, but beyond the taffy shops and the ghost tours is a neat and tidy grid which is comfortable for walking and loaded with big beautiful trees. What’s important in this image are the trees. Notice how they frame this park and the adjacent street to draw the eye in with a pop of green. They remind us of nature amidst the concrete and asphalt. Now while this may not be your idea of a retreat it an homage to the natural environment. This is where we stayed for the duration of the storm. 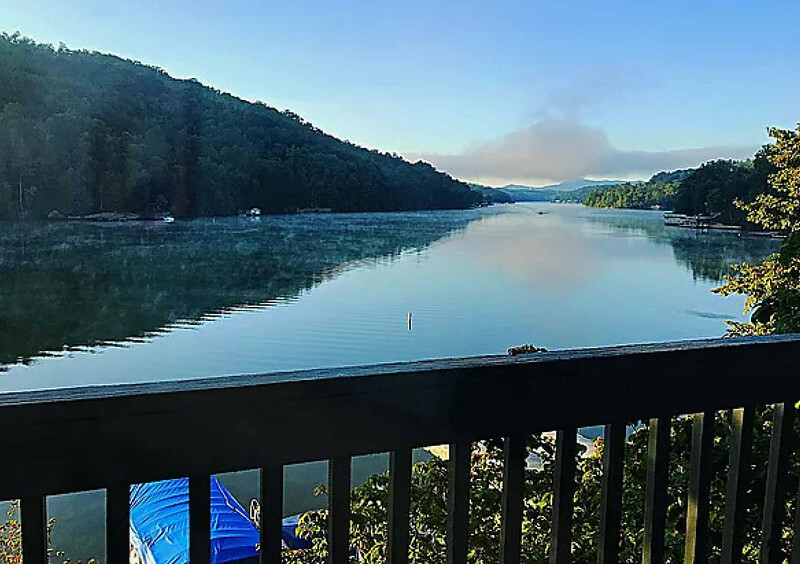 Lake Lure is a snapshot in time and the setting for the 80’s film Dirty Dancing. It is a true retreat with everything you’d expect- mountains, lake water, green trees and morning mist. But we were glued to the television hoping our city would make it through the storm while this small town of Lake Lure was making their own storm preparations. Once the storm passed, we made our way back south (along with everyone else) and stopped, once again, in our favorite town- Savannah. Here I began to feel more at ease and could appreciate the city’s beauty. Back to my point about retreats. 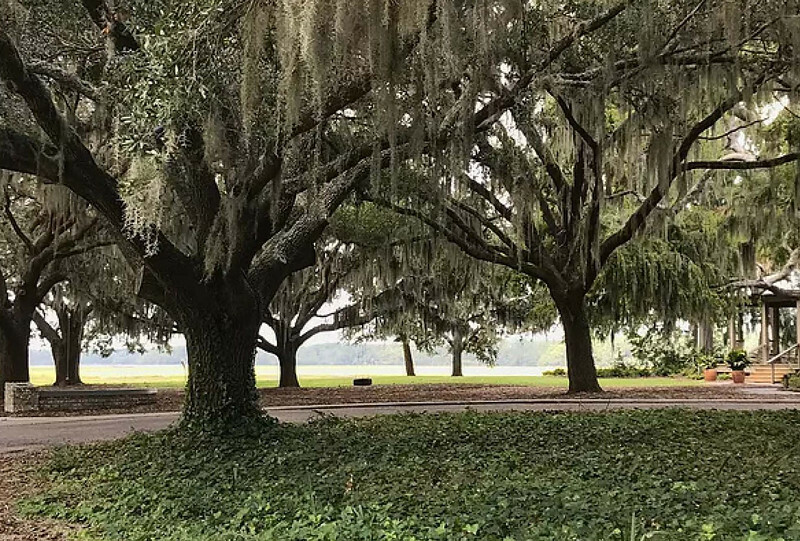 Each of Savannah’s 24 squares have so many large and mature trees, that every one feels like a mini retreat. 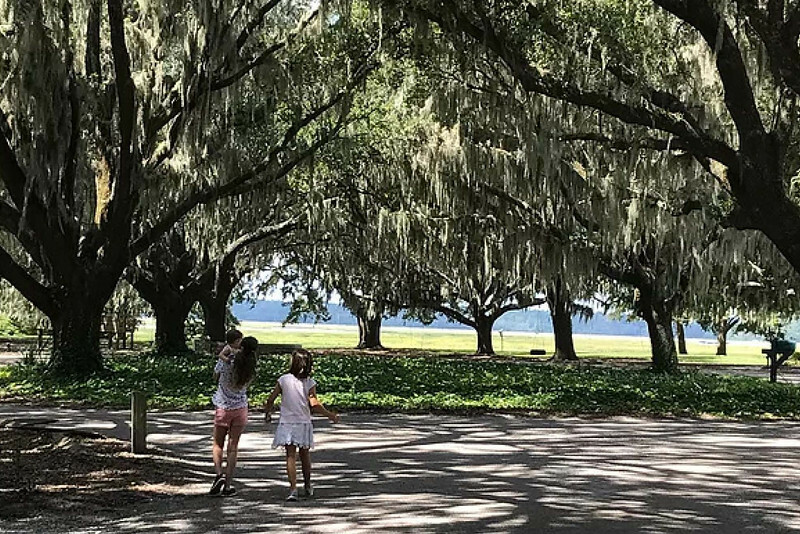 After dragging my children to Savannah twice this summer, twice last summer and once the year before, they shared with me how much they really enjoy the town. Why? Because it’s pretty with beautiful buildings and lots of trees. There is a calmness about this place and it has a lot to do with all those giant, moss covered oak trees. 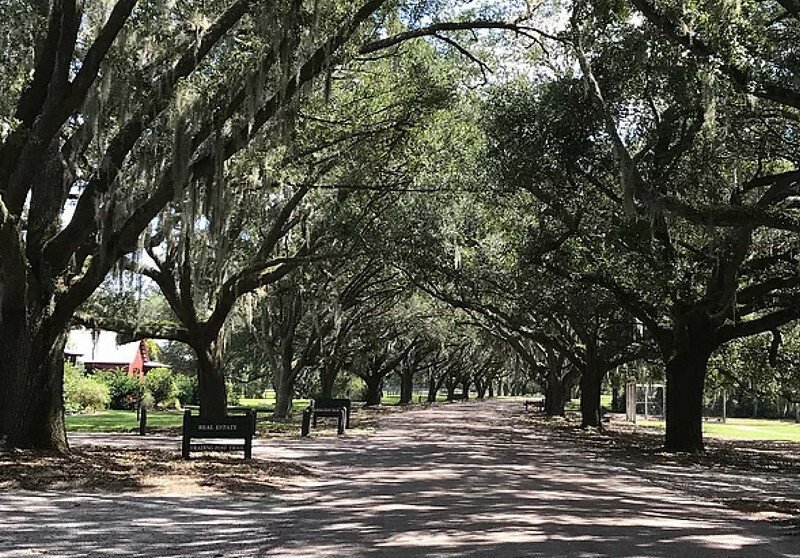 This is the ultimate retreat for Savannah residents. The oak trees cover the main walkway through the park so you’re never completely roasting in the sun. But the real appeal for me is how they transform the space and the people in it. Folks here are happy. They know they’ve found something good here- a sliver of nature in the middle of the city. And here’s where I had my aha moment. While in Savannah, we took a 30 minute excursion to the low country of South Carolina. I was reluctant to get back in our car after days of outrunning Irma, but was anxious to the glorious low country landscape that was just too special to pass up. The approach to Spring Island looked much like this- marshlands punctuated by green leafy trees and blue skies. And the island itself was wooded paradise. I don’t know if it was the stress of the evacuation, the long days in the car or sheer exhaustion, but when we arrived to this scene pictured above, I felt immediate relief from all things Irma. Spring Island is a secluded island which, until recently, was only reachable by boat. But for me, it wasn’t the seclusion that was appealing. It was the contrast of this place to the mini metropolis I call home. Miami certainly has it’s leafy neighborhoods or at least it did before Irma, but it’s a built up city with a lot of concrete and asphalt. Here I finally understood what it means to have a retreat. The main road leads to the Chechessee and Colleton Rivers. 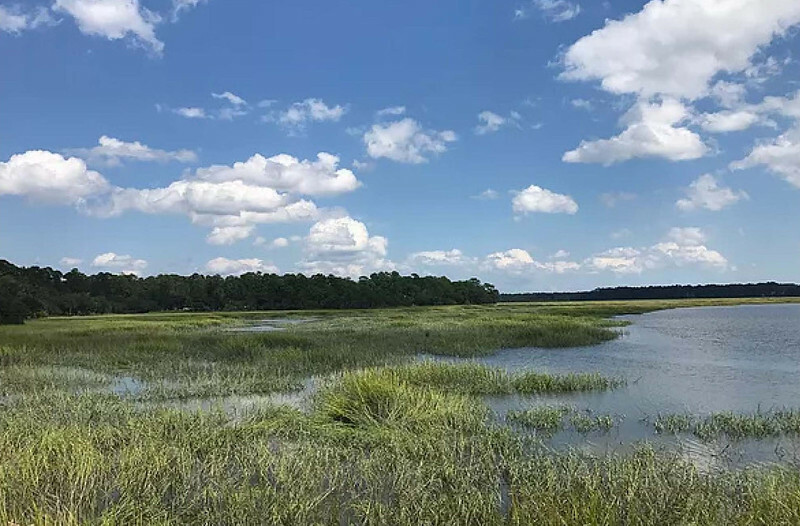 Though not the crystal blue water we have in Miami Beach, the water in Spring Island, and much of South Carolina’s low country, is calm and serene and unspoiled. What’s special about this place are the clever nature based solutions to infrastructure design like using pea rock instead of asphalt and wooden pilings along the water’s edge. These materials blend into the landscape rather than distract from it. Manmade materials, like this brick, have a natural patina which fades into the background. In fact all the materials in this photo fit together so perfectly because they are subdued and neutral. I love the row of rocking chairs. 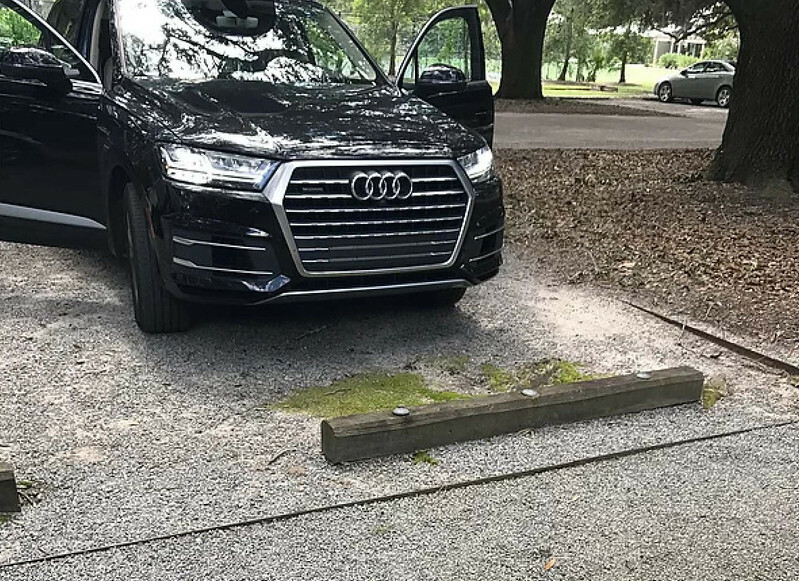 And one would hardly notice this parking lot because it is hidden among these amazing live oak trees and pea rock gravel. Even the wheel stops at the top of each parking space blend in to the landscape. The wood looks as though its been salvaged from an old fence and matches the wooden mulch around the base of the oaks. It’s not rocket science, it just works. Here’s a favorite thing I discovered. This is a retreat’s version of a bike rack! The rectangular cut-outs are for bicycle wheels. And the concrete has aged really nicely. 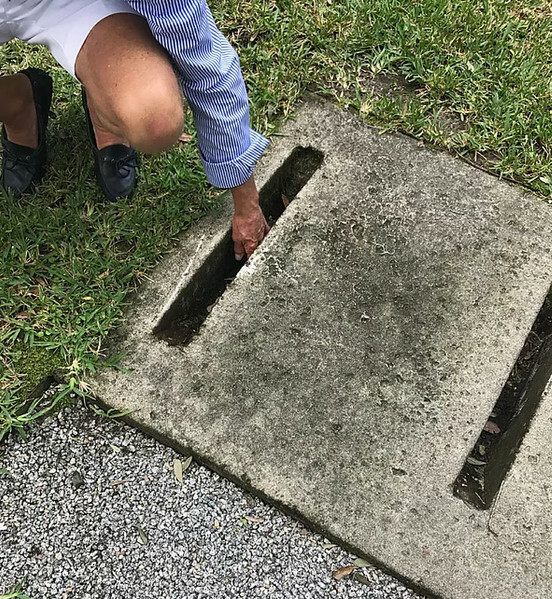 It’s totally hidden from view because it’s flush with the ground. 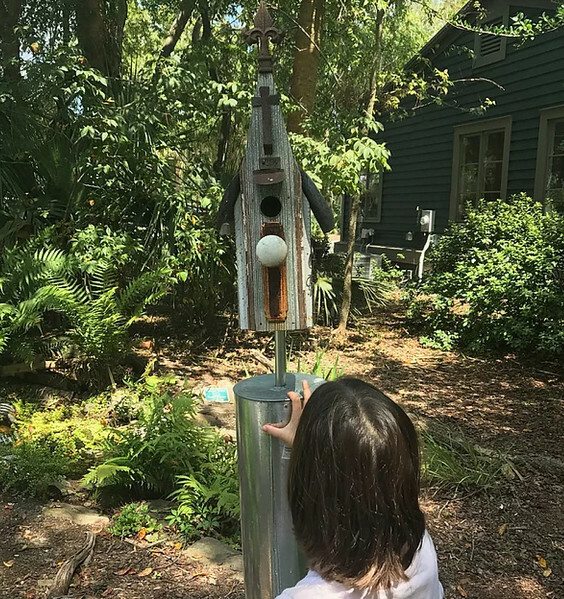 Of course, the requisite bird house. This one is super charming with a super charming cutie examining it! Look at the landscape in the background. And here, in South Carolina’s low country, I discovered the meaning of the word retreat. Now don’t get me wrong. I’m not planning on trading in my city life for country living, but what I realized here is that everyone needs a place where they can immerse themselves in nature to recharge and destress. 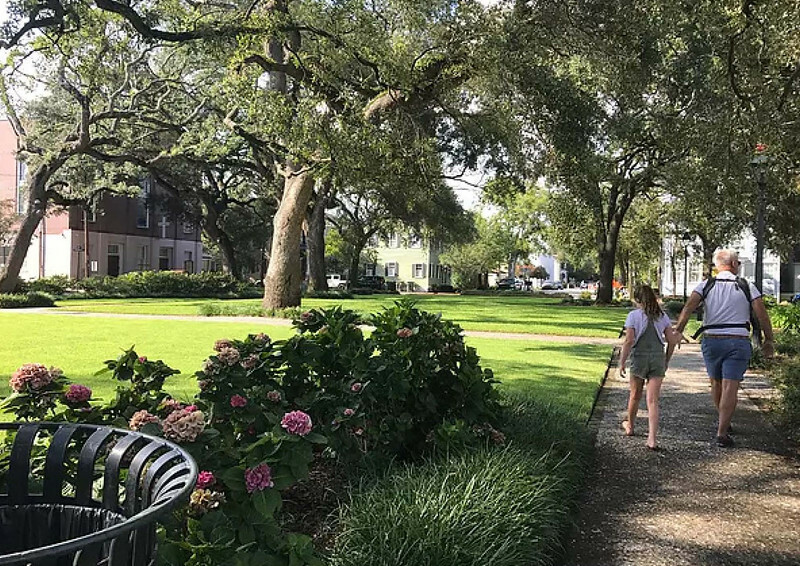 Cities like Savannah and St. Augustine have gone to great lengths to create parks which are mini tributes to natural retreats, but I found the real deal.